For all of your food processing storage needs, Paul Mueller company offers custom and standard vertical silos in a wide range of sizes. 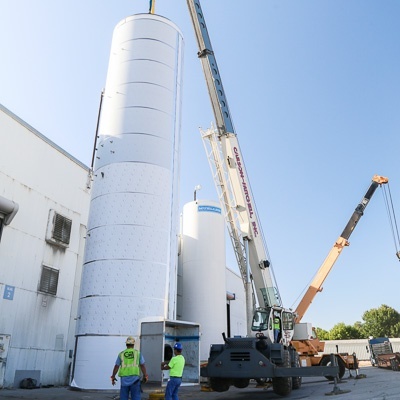 Our silos from 5,000-100,000 gallons are handcrafted in house at our facility, and our field fabrication team can build even larger ones up to hundreds of thousands of gallons on site. 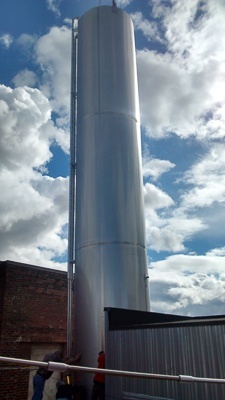 All of our silos are designed to provide maximum product protection and efficient space usage of your facility. 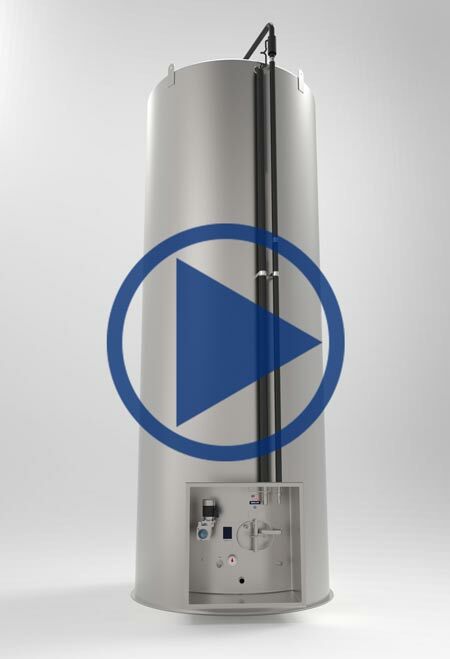 An array of optional features are available so that you can customize your silo to meet exact specifications. We are also proud to offer the first patented, fully CIP equipt horizontal agitator that meets USDA standards. Depending on your food processing needs, our team will work with you to provide the best silo that is most suitable for your operation.